Taikoo Place is recognised as one of Hong Kong’s best-planned business hubs, managed by Swire Properties. The portfolio offers over 5 million sq ft of prime commercial space for local and multinational corporations. A wide range of cosmopolitan business and leisure amenities are situated within the area, including TAIKOO PLACE APARTMENTS, the multi-purpose venue ArtisTree, the co-working hub blueprint, the landscaped garden Taikoo Park, and restaurants and cafes. Within five-minute walking distance are the shopping mall Cityplaza and the lifestyle business hotel EAST, Hong Kong. Swire Properties develops and manages commercial, retail, hotel and residential properties, with a focus on mixed-use developments in prime locations at major mass transportation intersections. The company’s investment portfolio in Hong Kong comprises Taikoo Place, Cityplaza and Pacific Place as well as investments in Mainland China, the US, and Singapore. For bookings and inquiries, please contact Reservations team at tel: (852) 3968 30808 or email: reservations@east-hongkong.com or visit east-hongkong.com. DMM – Manufacturing premium quality climbing equipment in Wales since 1981. Read more. SPRG is among Asia’s largest PR networks and HK’s biggest PR consultancy with 15 offices across the region. It is an award-winning integrated agency specialising in investor relations and financial communications. 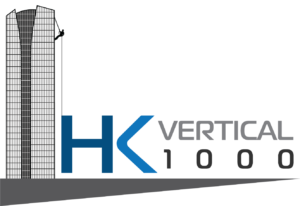 SPRG is fully committed to corporate citizenship, and proudly serves as PR partner of HK Vertical 1000. Reecho Asia Pacific Limited was found in 2007, aims at developing “Reecho” into a high-quality professional outdoor clothing brand. Reecho is committed to integrate world-class technology into creative local designs and provide outdoor lovers with the most suitable and the best outdoor gear in Hong Kong. Its own brand products are produced by an all-in-one system which includes research, design, procurement, manufacturing, wholesale, retailing and marketing promotion. It is devoted to introduce new outdoor experiences to customers in one-stop. “We Care You Achieve”. Read more. Cathay Pacific is the flag carrier of Hong Kong, with its head office and main hub located at Hong Kong International Airport. Read more.